Students who satisfactorily complete the Hearing Aid Specialist Program will be awarded a Certificate of Completion. 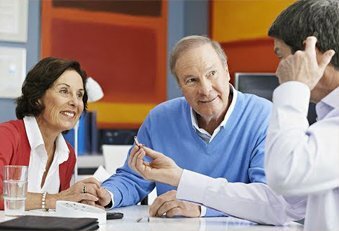 In many parts of the world, Certification of Completion from the Hearing Aid Academy is all that is required to purchase hearing aids at wholesale and sell legally and dispense hearing aids for retail. In the United States, the issues of licensure are more detailed and sometimes complex. The Academy is prepared to lead you through the issues in order to help you determine your state’s requirements and your best career path. Some states require a sponsor and an apprenticeship of some level before you are allowed to take the State examination. Some states require National Board Certification by the National Board for Certification in Hearing Instrument Sciences to be fully licensed. Some states require two years of education at that state’s approved college before you are eligible to take the State’s Licensure Examination and become certified as a hearing instrument specialist, and in others the process is relatively simple enabling you to graduate and immediately schedule your State examination date. Consequently, your state of residence is an important factor in determining your path to a career in Hearing Health Care as a Licensed Hearing Instrument Specialist. From a practical perspective, the education you receive from the Hearing Aid Academy will prepare you to take your State Licensing Examination. In general, all states include the same essential elements in their state examinations. Many actually share the same set of examinations. The Course of Instruction developed by the Academy staff is a thorough and effective training for getting prepared for state examinations and, more importantly, getting prepared to meet the demands of a professional career in the health care field as a Hearing Instrument Specialist. We have sought to address the issue of differing requirements in different states. Many of our employment alliances can provide opportunities for sponsorship and apprentice experience as a benefit of employment, with a path for career growth. Additionally, the Academy engages states in efforts to encourage standardization of requirements and improvement in standards of excellence. The Hearing Aid Academy will seek to help you find a sponsor where necessary, as-well-as job interview opportunities upon completing your education, but the Hearing Aid Academy cannot guarantee sponsorship or employment for students or graduates. We encourage you to research the details of your state’s requirements and to call us regarding any questions you may have in that regard.